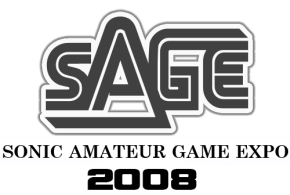 SAGE ’08: What is Up with Sonic Mettrix? With SAGE only days away, there is serious confusion and now doubt as to whether longtime Sonic community member Stealth will, in fact, have anything to show at the expo. The confusion began with a story we broke last Friday, when we reported that a new edition of Sonic: Project Mettrix–last heard from at SAGE 2006–would make an appearance. Mettrix would be joined by a new version of the E02 engine and a new edition of a Mega Man fan game project. Citing third-party privacy concerns, we were asked to unpublish the story, but we were then able to independently verify a post Stealth made on the Sonic Retro forums that, indeed, the E02 engine would, at least, make it to the expo. With Stealth making reference to both Mettrix and his Mega Man project, we opted to again run with the story. Shortly after the news ran, we were contacted by Stealth directly, asking TSSZ News to again remove the story, citing that the information was “no longer true.” We complied. Stealth’s comments and the thread concerning Mettrix remain online. Currently, we may be just as confused as you are. Will Stealth or any of his work show up at SAGE or won’t it? We’ve attempted to touch base with Stealth again to elaborate on his comments to no avail as of now. If we get any new developments on the story, we will be sure to follow up.